I think I’m a hard sell when it comes to new beauty products. Having spent years working as a makeup artist I saw so many new ‘miracle’ products and fads and I just got a little bored with all the hype. 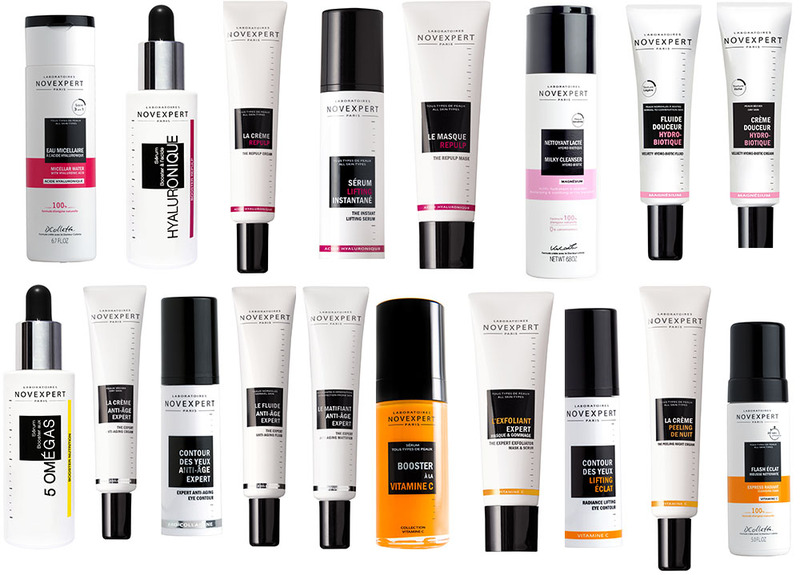 So, when I find a brand with minimal hype but great products it feels like such a treat. I am very conscious of not putting nasty chemicals onto my skin and I like to know the origins of the products I am slathering onto myself. Novexpert bills itself as different. Their research centre in the heart of Chevreuse Valley employs internationally renowned experts who work in a relaxed, supportive environment – with employee profit-sharing, meetings held outdoors, and a policy of openness to all ideas. They are transparent about their ingredients and where they make their products. I think what really caught my attention was that the products are safe to use for six months after opening them because 95 % of ingredients are plant-based or derived from green biotechnology. I found this surprising but then the more I thought about it it makes sense and why do other products last so long? Because they are artificial. In a lifetime, you will apply more than 500kg of cosmetics to your skin, and just like the ingredients in our food, we have a right to know what is in the cosmetics we apply to our skin. 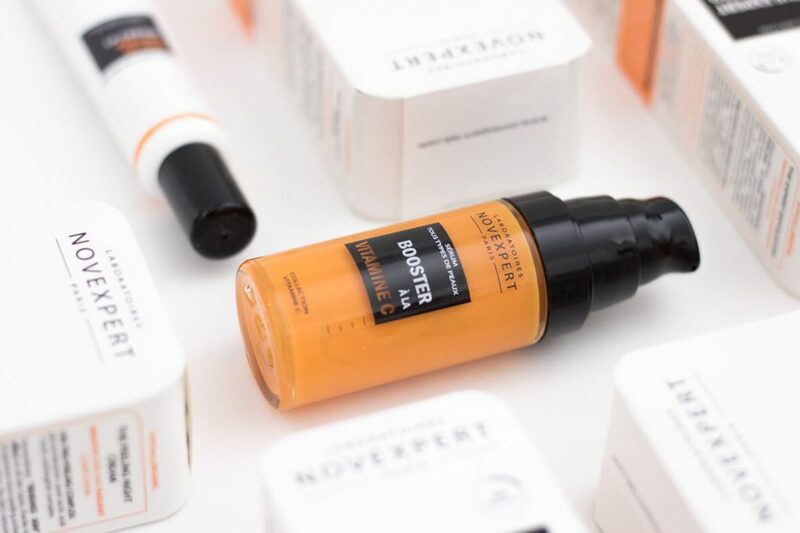 The company was founded by researchers and doctors specialising in skin-aging and the formulations they designed were inspired by recent advances in anti-aging medicine. First I used the The Expert Exfoliator, a powerful 2-in-1 product that gives a new meaning to exfoliation. Opening it up it smelt like something I would squeeze onto yoghurt and eat. It was fresh and sweet and just looked like a homemade scrub of mashed up apricots in a delicious peachy orangey hue. It is a gentle scrub made up of a complex of Jojoba micro-spheres, Bamboo Silica, and Apricot Kernel powder complete the peeling process leaving your skin super smooth and soft. It can be applied as a mask for up to eight minutes to loosen dead skin cells, remove impurities, then massage gently. My skin was immediately softer and brighter. The Repulp Mask I absolutely love, it is sweet smelling and smooth and also feels like something edible. It has an ultra-high concentration of two pure hyaluronic acids with immediate lipo-filling” action. It is recommended for stressed skin, that’s exposed to the elements and pollution. There are 0% chemicals and 0% preservatives and it is hypoallergenic. 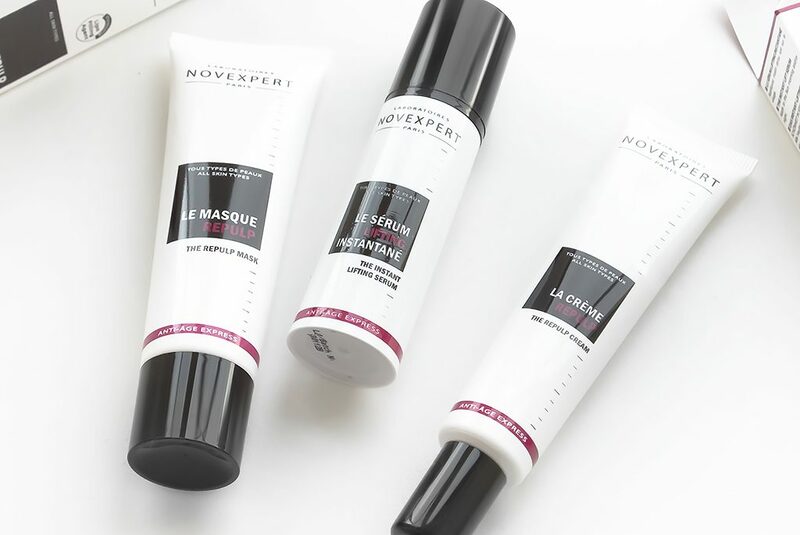 The brand, created by Cyrille Telinge and his ‘dream team’ of doctors specialised in skin-aging, was launched in March 2008, in France. 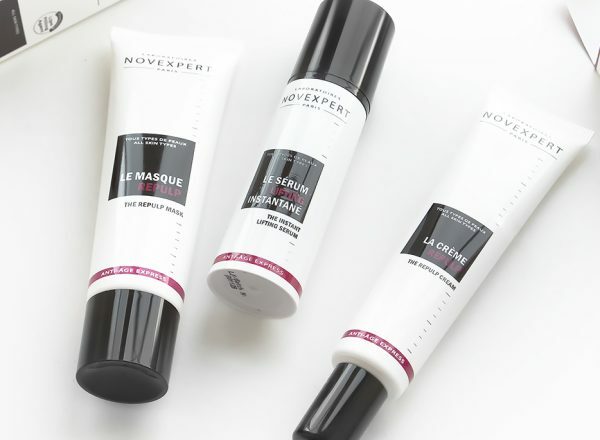 However, the Novexpert team had been working for nearly 20 years at the head of an independent research laboratory known for its expertise in formulation and anti-aging technology. If you are looking for a new brand then try out this 100% medical, 100% effective and 100% natural created by French doctors. It has been given 18 awards in less than 8 years and from my perspective I can easily see why. Get yourself some French chic in a bottle. For more information see online.